We are still putting the finishing touches on all we have planned for our annual event at the historic Sebring International Raceway and this one promises to be the best one yet! The dates for this year’s event is May 30-31. If you are interested in attending the 2015 event, don’t delays – sign up TODAY! This event has sold out in the past and we’d hate for anyone to miss it. We have a block of rooms at the Chateau Elan Hotel and Conference Center. Information is included in the Motorsportreg.com registration page. 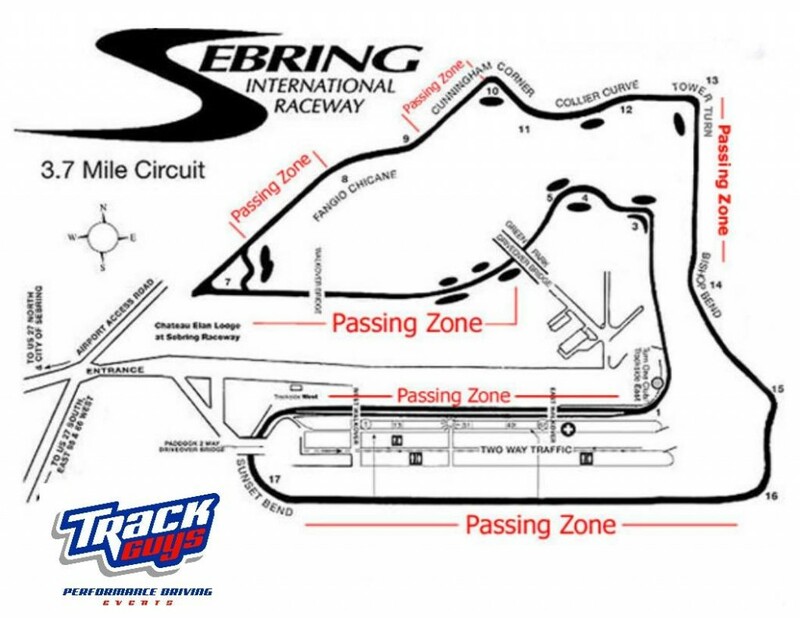 Hope to see you on track with us at Sebring International Raceway! 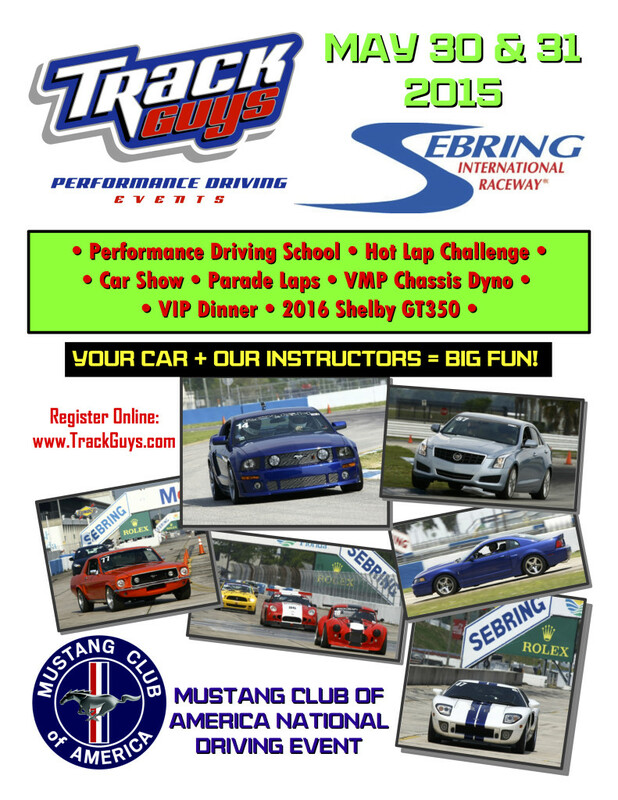 This entry was posted in Track Guys Events, Track Guys News and tagged high-performance driving, Mustang Club of America, Performance driving, Sebring International Raceway, Track Guys, Track Guys Performance Driving Events. Bookmark the permalink.